Happy Holidays! 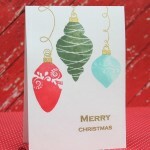 On this day I want to share some Christmas and New Year cards that I’ve made to send season’s greetings. 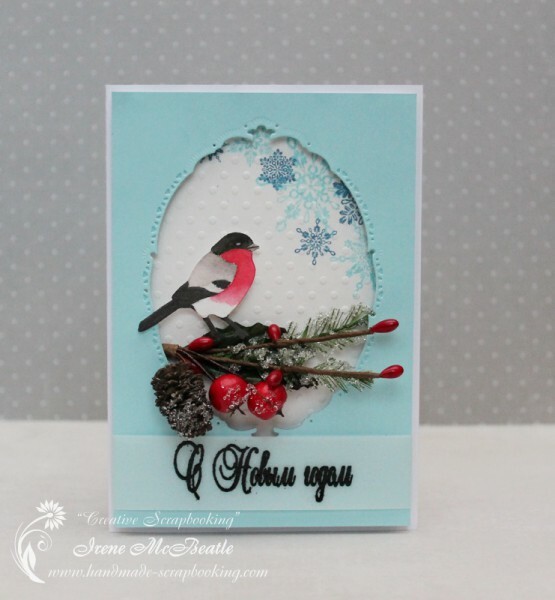 I decided to copy the design of a card with bullfinch on a branch that I’ve made earlier. This time I used blue oval frame and stamped snowflakes on the background. The hand-colored bird is sitting on some branches with pine-cone and berries. Next I used Rock Candy Distress Glitter on blue chipboard snowflake and created dotted and shaded background for it. 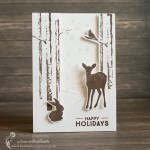 I continued stamping sentiment on a strip of vellum (I did this technique a lot this season). 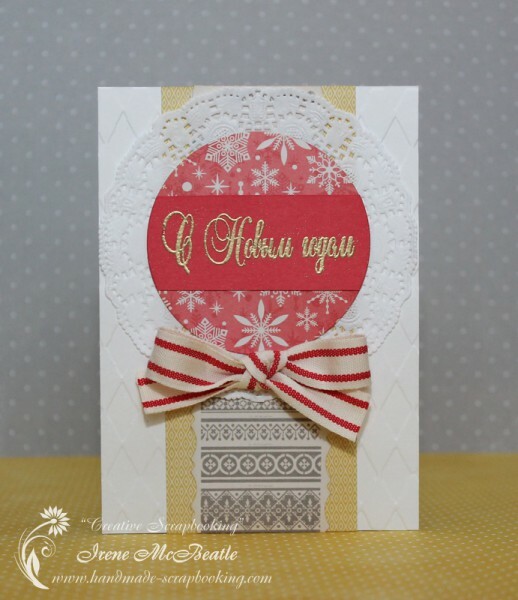 For the next three cards I used the same sketch and materials: white background with dry-embossed texture, vertical stripes of patterned paper in the center, paper doily with a circle. 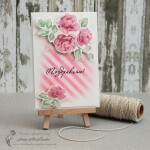 The difference between these cards is in the combination of patterns, colors, centerpiece images and sentiments. The first one has a Christmas Tree, the second has a deer, the third has simply a bow. And one more card is not a traditional one. I colored the images of a cat and mice celebrating the New Year’s Eve with champaign! 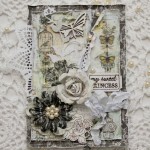 I love coloring Penny Black stamps. Hope that you are having a lot of fun celebrating Holidays!